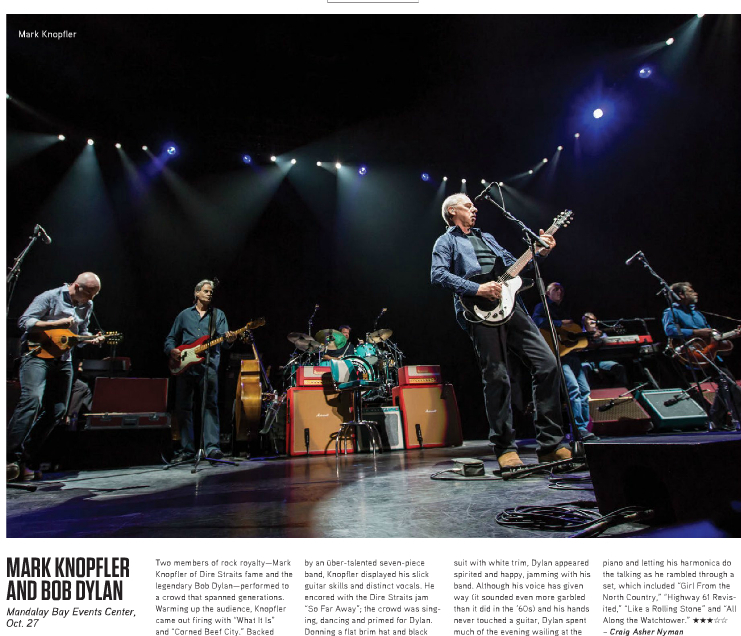 My Review of Mark Knopfler and Bob Dylan in Vegas SEVEN | Do You Hear The Music? Last weekend I headed over to Mandalay Bay for the Bob Dylan concert; figured I hadn’t seen him live in a while and this may be the last time I get to see him live. With Mark Knopfler of Dire Straits fame serving as the opening act, it was a double billing of great music. Check out my review which ran in the November 1 issue of Vegas SEVEN.